The ability to create an engaging and powerful film amidst the cornucopia of movie making in this modern age seems challenging enough. Indeed, with editing software and HD cameras available on even the smallest budget nowadays, films are being made at an alarming rate by folk from almost every crevice of society. Creating a suitable high quality film in a mere 48 hours is the test that has been set by the Sci-Fi London Festival`s 48 Hour Film Challenge. Beginning on the Friday night, each team is given a title, one prop and a line of dialogue that must be used, after which the race is on to complete the picture by the subsequent Sunday. This year`s winner, Interlude, is a smart and slick little piece from the collaborative team of Savvas Stavrou and Nathan D`Arcy Roberts. Opening with some very Back To the Future-esque timepiece tinkering, Interlude introduces us to John (Brian Tynan) a seemingly modern-day mad scientist, dedicated to his attempts to recreate the experiments of Nikola Tesla in the hope of bringing his comatose daughter back to the world of the living. Tynan is phenomenal as the desperate father, managing to express despair, defeat and devotion with touching aplomb. Tynan expresses the lengths a man will go to for his loved ones with a manic tenderness, fully exploiting his minimal screen time to its utmost potential. 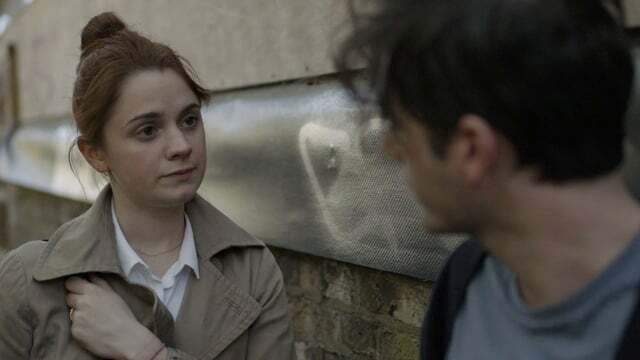 Ruby Thomas (Blandings, Life of Crime) meanwhile is a calming and caring force as the family`s unfortunate social worker. Twisting and turning an impressive amount in its succinct four minute runtime, Interlude is the perfect example of simple and smart scriptwriting at its very best. Pulling on the heartstrings before punching us in the face with an impressive pay-off, Stavrou manages to conjour more emotions in a meagre four minutes than Michael Bay does in an entire four film franchise. Indeed, there are a few Hollywood directors that could learn from this young fellow. Though-provoking and enchanting, Interlude is an impressive piece of film-making, especially given its time constraints. Wonderfully acted, beautifully scored, intricately scripted and featuring an adorable clockwork snail, this is definitely worth a (very) quick look, and we at Vulture Hound will be following Stavrou`s work closely over the years to come!